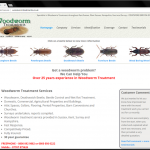 New Woodworm Treatment WordPress Website For Protect Pest Control Ltd. The WordPress website replaces an existing HTML website and has been built to be mobile friendly . 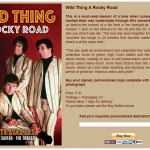 This site is hosted using our service and a WordPress maintenance service is also provided. 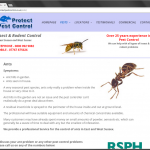 New WordPress Website For Protect Pest Control Ltd. 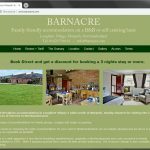 The WordPress website replaces an existing HTML website and has been built to be mobile friendly as the majority of the clients customers find them using mobile phones rather than computers. This site is hosted using our service and a WordPress maintenance service is also provided. WordPress website update for Fitness Therapy 4 You – including new pages, additional content, and homepage update. 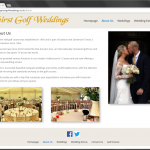 New WordPress website for Longhirst Golf Club near Morpeth in Northumberland who are providing marquee weddings. Web hosting, content updates & WordPress maintenance by us. 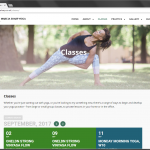 New website for existing WordPress maintenance client Marcia Sharp, a Certified Yoga Instructor based in London. 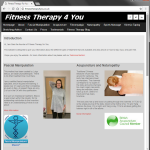 WordPress website for Fitness Therapy 4 You – including new pages, additional content, and homepage update. 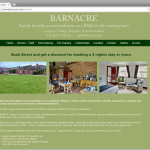 New WordPress website for Barnacre bed and breakfast accommodation in Longhirst, near Morpeth in Northumberland. New photos were taken of bedrooms, shower rooms and the dining room. With one exception all photos on this website were taken by us. WordPress maintenance is also being provided. 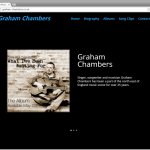 New WordPress website for singer, songwriter and musician Graham Chambers. Web hosting and WordPress maintenance are also being provided.